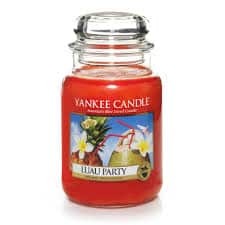 Click here to visit the Yankee Candle site and fill out the easy form to enter their sweepstakes. There will be a total of 111 winners. Good luck! The Grand Prize Winner will receive a spa 5 day/4 night trip for two (2) people to the Grand Cayman Islands. 10 first prize winners will each receive the entire Exotic Escape candle collection. 100 second prize winners will each receive one (1) large jar candle from the Exotic Escape candle collection.